At Christmas time it’s nice to present food and drink a little differently, a bit pretty with a festive touch, so I’ve been preparing some festive themed ice cubes ready for my guests to enjoy in their drinks on the big day. Using filtered water from my Brita Marella Silver Jug I was already feeling the festive spirit and couldn’t wait to get started. For Christmas inspiration I purchased some blueberries, cranberries, raspberries and rosemary to give that festive zing! I started by setting up my beautifully festive and pretty Brita Marella jug with it’s filter and water and putting this in the fridge to chill. The glittery silver design on top is particularly pretty and brings a sparkle to my fridge and adds a shine at Xmas. I then added various berries, herbs and filtered water to my ice cube trays and tried to choose trays with appropriate shapes for the festive season such as stars and long oblong shapes that would sit prettily in glasses. What I love about these is that they are so versatile and you can use them in plain water, lemonade or cocktails. The choice is yours. I added a drop of orange juice to some of the star cubes for added flavour but love that all the ingredients add both flavour, texture and a really attractive addition to your Christmas drink! Using water is so simple but adds an interesting touch to drinks at Christmas and is something that all your guests will love. With the water being filtered you know it has a better flavour and your ice cubes will melt perfectly into the drink. We’ve enjoyed using Brita filtered water to create our festive ice cubes and can’t wait to share them with guests over the festive season. Why not try some too, it’ll add a bit of fun and fruity delight to drinks that guests will love! 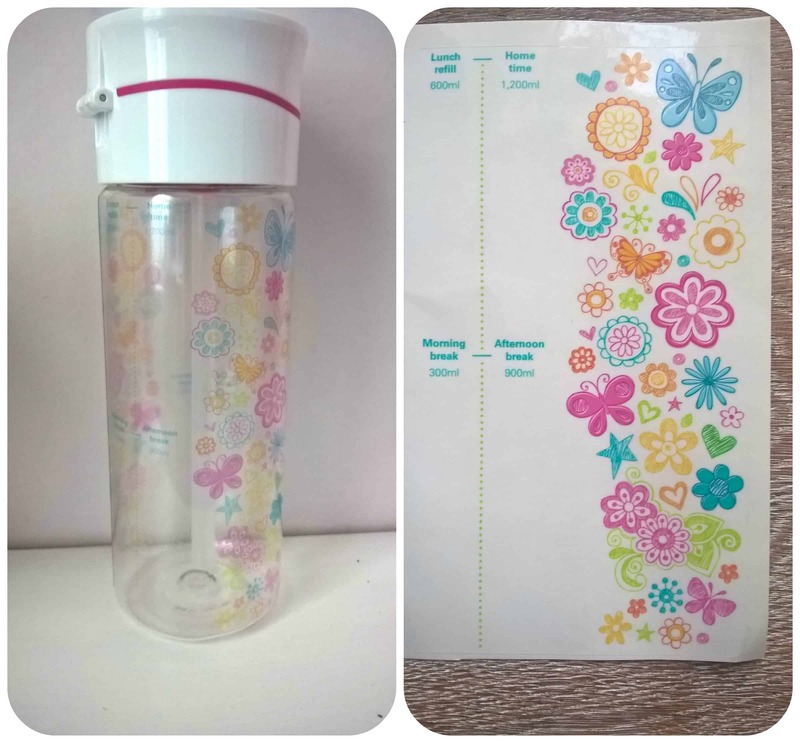 So 7yr old Miss M went to school armed with her new bottle, it can be used with or without the internal straw, but she prefered without and just liked to tip it up. Each day after school I asked her to show me how much water was left in the bottle and how many times she had filled it up. The bottle holds 600ml and it’s recommended that your child drinks two of these during the school day which I do think is a lot. I was surprised to hear that Miss M had filled her bottle two times every day last week and each day she only came back with about an inch of water in the bottle which I think is excellent – she must have been drinking at least a litre of water during the school day which even she said is much more than she usually does. The stickers on the side of the bottle definitely helped and she was motivated by them and wanted to drink the amount of water as per the guide on the stickers. I think talking about it with her each day also helped as it kept her focused on how much she drunk and she was eager to show me her bottle at the end of each day. I think the Brita Fill & Go with stickers has really motivated my daughter to think about how much she is drinking and also drink more than usual. 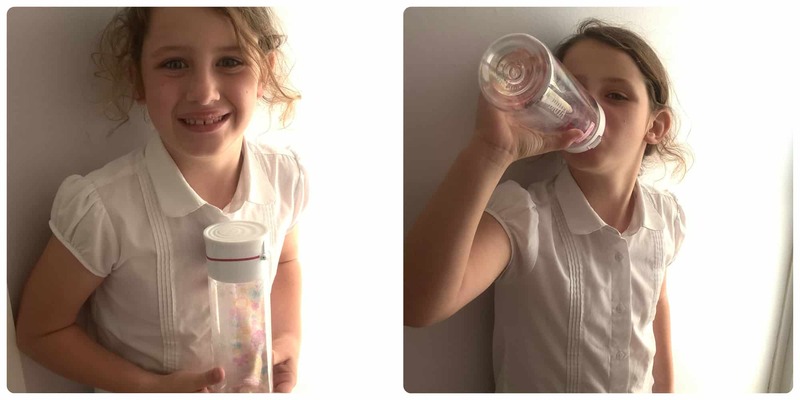 It’s a great idea to get children motivated into keeping themselves hydrated. 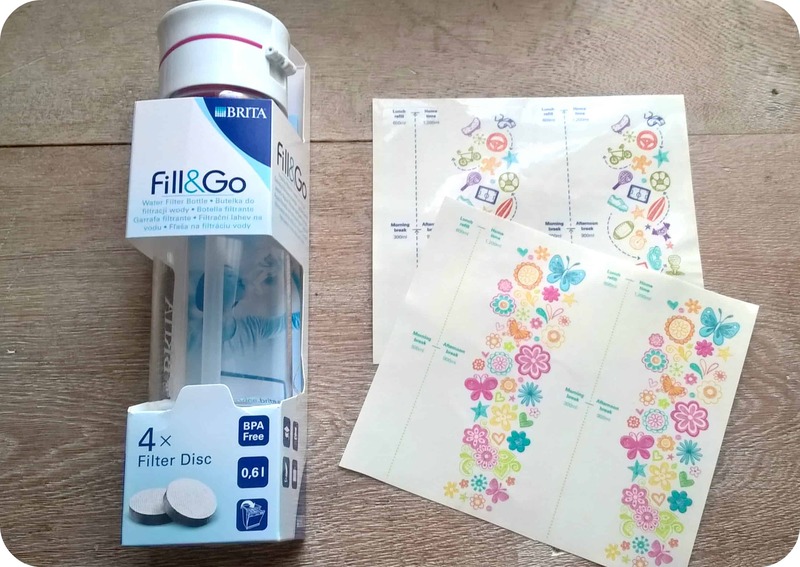 For more information about the Brita Fill & Go check out their page HERE.